Look the Way You Feel! 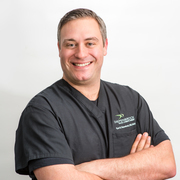 Dr. Diepenbrock is a double board certified facial cosmetic surgeon specializing in natural and long lasting results. Get the renewed look you deserve. Visit renewedlook.com and imagine the possibilities. Having any surgical procedure done is a big deal, and cosmetic surgery is no exception. While many surgeons, of multiple specialties, have “exposure” to cosmetic surgery in his/her residency, very few complete post-residency fellowships specializing in cosmetic surgery. Dr. Diepenbrock is one of the few who was selected and successfully completed an accredited fellowship in Facial Cosmetic Surgery. What this means is Dr. Diepenbrock focuses solely on the face. Whether the procedure is surgical such as a face lift or rhinoplasty, or non-surgical such Botox or facial fillers like Juvedérm or Restylane, he has dedicated his professional practice to the aesthetics of beauty. His philosophy is to provide you with natural and long-lasting results. His favorite quote is “I don’t want you to appear operated on or artificial. My goal is to have your friends, family, and acquaintances comment on how well-rested and refreshed you look”. Visit renewedlook.com for a complete biography. Sólo tienes que subir tres fotos estándar ahora para ver una simulación 3D en tu próxima cita con Dr Ryan Diepenbrock. Visualiza tu cuerpo o rostro actual en 3D antes de la consulta y obtén acceso desde casa a tu nueva imagen después de la consulta para poder compartirla con amigos y tomar una mejor decisión. Después de la consulta, Dr Ryan Diepenbrock puede darte acceso para ver tu "nuevo yo" desde casa, con tu propia cuenta Crisalix. Esto te permitirá compartirlo con tu familia y amigos o con cualquier persona a la que quieras pedir opinión.